Metal clamp holds unpunched or punched paper. 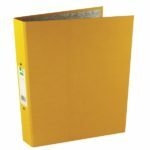 Holds up to 50 A4 sheets (80gsm). 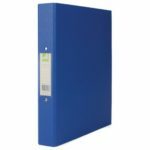 Semi rigid 750 micron cover with Customised spine label plus useful inner pocket. Assorted Tinted & Clear colours. Manufactured in sturdy 2mm Cardboard. 4 striking designs-part of the Vogue stationery range. 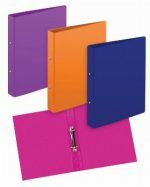 Ring Binder File. 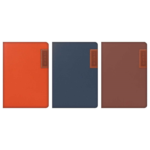 A4 Slim Solid Colours With 2 Rings. 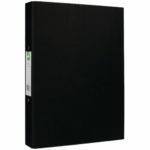 Tiger brand A4 slim (20mm spine) 15mm 2 ring project style Ring binder. 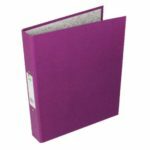 A4 slim/project style Ring binder. 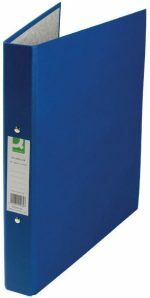 4 x 15mm O rings for secure filing,. 20mm spine and 4 assorted tinted Polypro covers. 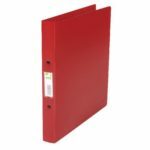 Ring Binder File. A4 Slim Tints With 2 Rings. 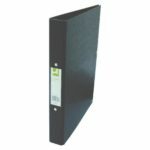 A5 Slim 2 Ring binder with 700 micron Polypro cover. 15mm O rings for secure filing. 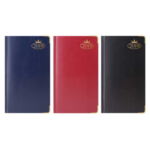 Includes 10 A5 punch pockets. 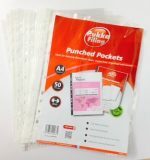 Ring Binder File. 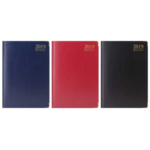 A5 Slim Tints Colours With 2 Rings. 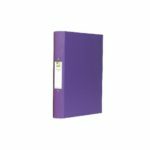 Tiger A5 slim 2 Ring binder 700 micron Polypropylene cover. 20mm spine. 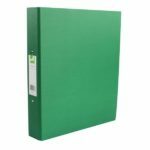 With 2 x 15mm O rings for secure filing. Size 190 x 230 x 22mm.